We are the Chicago Chapter of R-Ladies! R-Ladies is a global organization whose mission is to promote gender diversity in the R community. 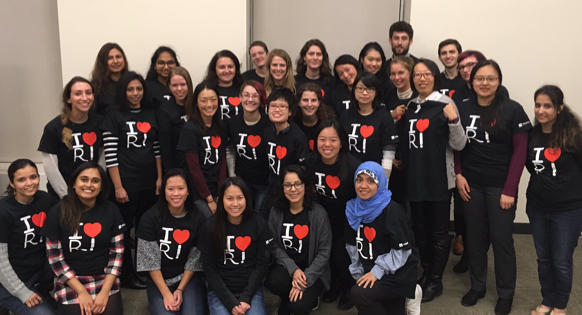 Our goal is to encourage, inspire, and empower people of genders currently underrepresented in the R community. Anyone with an interest in R is welcome–beginners, experts and everyone in between. We exchange ideas, share knowledge, and create a friendly network among women who use R! All events are intended for all women and minority genders who are interested in attending. This includes, but is not limited to, cis/trans women, trans men, non-binary, genderqueer, agender. We are emphatically queer and trans friendly. To see our upcoming meetings, check out our Meetup Page. Email us at chicago@rladies.org. To see other chapters of R-Ladies, visit the website of R-Ladies Global. R-Ladies is dedicated to providing a harassment-free experience for everyone. We do not tolerate harassment of participants in any form. We follow the R-Ladies International Code of Conduct. See our Meetup Page for the most up-to-date info about our upcoming events! R-Ladies Chicago welcomes Mara Averick! Study groups meet separately from our monthly meetups to talk about specific topics in R.
Do you love using R to display your data? The data viz study group is a learning community where we can discuss different ways to visualize data in R.
Astrostatistics is a new emerging field that combines Astrophysics and Statistics. Our Astrostatistics Study Group (ASG) will create opportunities for R people to join the fun in exploring the Universe! There are many ways to look at text & language data. The NLP study group explores different aspects of text analysis in the R programming language. Last Saturday, February 23, 2019, took place the R Forwards Women’s Package Workshop in Chicago at Center for Spatial Data Science, where Angela Li (CivicAngela) and Stephanie Kirmer (data_stephanie) conducted the workshop. 40 R-Ladies attended from different parts of the Chicago area to increase their abilities with R. Image Caption: Women’s Package Development Workshop Attendees What do we learn? We learned about packages, which are the fundamental units of reproducible R code. Meet the Chicago Executive Board! 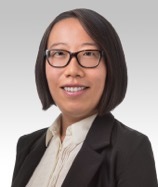 Angela Li is the R Spatial Advocate for the Center for Spatial Data Science at the University of Chicago, where she teaches R to the UChicago community! She is the founder of R-Ladies Chicago, having founded our chapter in July 2017. She received her Bachelor’s Degree from UChicago in June 2018. Angela loves using R to make maps! Anne Corinne Carroll currently works at Rush Medical Center on the Assessment & Evaluation Team while pursuing a PhD in Occupational Health Psychology at East Carolina University. Previously she worked as a Content Analyst at Hanover Research where she focused on using surveys for program evaluation and school climate assessment. Anne uses R and her background in psychometrics and structural equation modeling to analyze a variety of survey data. In her free time, she enjoys yoga, kayaking, and exploring Chicago. Zaynaib (Ola) Giwa is a Clinical Data Analyst at the University of Illinois at Chicago. Zaynaib Giwa is a self-taught programmer who uses her talents as a consultant of small businesses and startups. Zaynaib has redesigned and maintains a website for the City of Champaign- Urbana Regional Planning Commission, the Illinois Sustainable Technology Center, and Performers Music. She is a graduate of the University of Illinois with a Bachelor’s Degree in Statistics and a Masters Degree in Library and Information Sciences. You can read about her latest projects on her blog, zenagiwa.wordpress.com. Abhinaya Konduru is a VC at M25 Group. She double majored in Finance and Mathematical Computer Science at Univeristy of Illinois at Chicago. While she was there, she led the finance student organization and co-founded the Portfolio Management Team which is now one of the largest organizations in the college. She was also a part of numerous programs to help increase digital literacy in the community by partnering with Google and Blue1647. Katherine Simeon is a PhD Candidate in Communication Sciences & Disorders at Northwestern University. Her research looks at how experience with sound (or lack thereof) impacts language processing in children and individuals with hearing loss, specifically cochlear implant users. Katherine uses R for data cleaning, statistical analyses, & data visualization. In her free time, she enjoys knitting (both literally and with knitr) and running. Caroline K. Williams is an aspiring data scientist. She was introduced to R at Blue1647 in May 2017. Before she moved to the US, she worked for an Indonesian non-profit organization in the field of Physics outreach. She recruited volunteers to organized the first Asian Physics Olympiad. She was also appointed as the head organizer of the first Indonesian Physics Amusement Park festival that attracted hundreds of participants. As a result, she was awarded a full scholarship from her work to finish her Master’s degree in Physics. While in colleges, she was elected as president of Society of Physics Students, attended the London International Youth Science Festival, and co-authored several Theoretical Physics papers published on Physical Review Journals. She also published articles in student newspaper and hiked mountains. She is passionate about science, environmental issues, and journalism. She enjoys volunteering, travelling, and outdoor activities. Amy Yang is a Sr. Data Scientist at Uptake where she conducts industrial analytics and build prediction models to major industries and help them increase productivity, security, safety and reliability.She began using R for simulation and statistical analysis during her study at the University of Pennsylvania where she received her MS degree in Biostatistics. She also teaches R programming and statistical courses for graduate students. During her free time, Amy enjoys playing board games with friends, skiing, and WERQ dance. 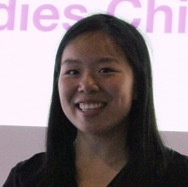 R-Ladies Chicago was founded in July 2017 by Angela Li. We are grateful to the founding members who have brought our community to life: Angela Li, Amanda Dobbyn, & Kaelen Medeiros. Interested in sponsoring R-Ladies Chicago? Please email us at chicago@rladies.org.